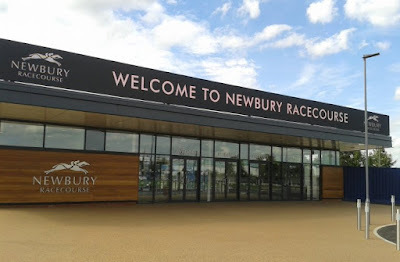 The 2k to 10K Betting Challenge continues on Saturday from Newbury . The Betting Bankroll stands at £2119.00 +(£119.00) .Stakes drop to £84.00 . Moving on to Saturday we have interesting sprint from Newbury. 10 Runners declared for the 6F group 3 Hackwood stakes at 3.00.The three main contenders look to be Bacchus , Projection & Equilateral . BACCHUS : Four-year-old chestnut gelding ,winning 4 out 13 .Improving sort winning twice in 2017 in handicap company.Made winning reapperance in 28 runner Wokingham at Royal Ascot last month ,off mark 105 .Looks open to further improvement ,though will need career best effort to land this group three contest. PROJECTION : Five-year-old bay gelding ,winning 2 out 15 .Not won since two-year-old days ,though has shown some useful form over last two season ,including finishing close second to Blue Point last season in G3 at Ascot .Been in good form this season without winning ,including finishing fifth of 12 in G1 Diamond Jubilee stakes at Royal Ascot ,behind Merchant Navy.Will be suited by this easier race . in G1 Commonwealth Cup when well supported in market (Trainer reported scoped dirty after the race ) Not easy to weigh up ,though looks interesting contender . VERDICT : PROJECTION should go well ,having finished creditable 2.25 lengh fifth in group one company last time at Royal Ascot .Looks to have plenty in his favour ,with this drop in class sure to suit .Trainer Roger Charlton has also been in excellent form 7 out 20 in last two weeks .Odds around 7-2 look solid each-way value .